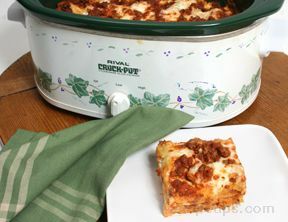 Lasagna layered in a crock pot! Easy to make! Brown hamburger, drain and add jar of ragu. Spray crock pot w/pam or other cooking spray. 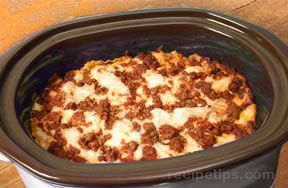 Layer 1/2 of everything - 1/2 box noodles (uncooked), 1/2 container cottage cheese, 1/2 meat/sauce mix, 1/2 cheeses, REPEAT. Cook on high for 2 hours or on low for 4 hours! 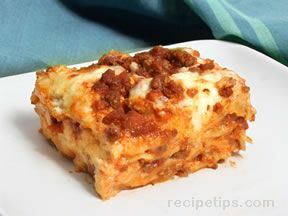 Very good reheated for leftovers!